Randy is a founding partner of IronNimbus. 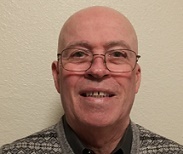 Randy has been a commercial information technology professional for over 47 years. His career spans the introduction of each of computing's most successful technologies including supercomputing, massively parallel computing, distributed computing, grid computing, and cloud computing. He has been considered a trusted authority with regards to enterprise computing technologies specific to the energy, healthcare and entertainment industries throughout his career. His achievements include the development of several key industry solutions such as software as a service, disaster recovery as a service, grid computing services and cloud computing as a utility. He is currently focused on cyber security, specifically keyboard encryption technology to help protect business information and personal identity from cyber criminals. Randy has been a trusted authority by several of the US National Laboratories including Argonne, Los Alamos, Sandia and Oak Ridge. On a personal note, Randy has completed more than 350 Triathlons including 9 Ironman Triathlons over the span of 37 years of competition. He was a Pro Master Triathlete for 9 years.